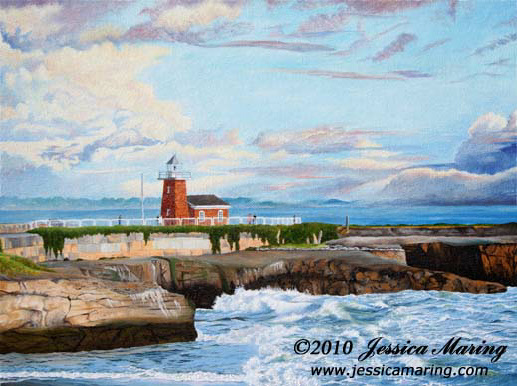 The subject of this painting is the Santa Cruz Lighthouse, late on a winter afternoon after a storm has passed. It’s one of my favorite places to go for a walk. It’s a favorite with many others too. No matter how chilly or wet the weather, one can always find other people, bundled in coats and scarves, walking, running, bicycling, or just standing at the railing, gazing, mesmerized by the waves.